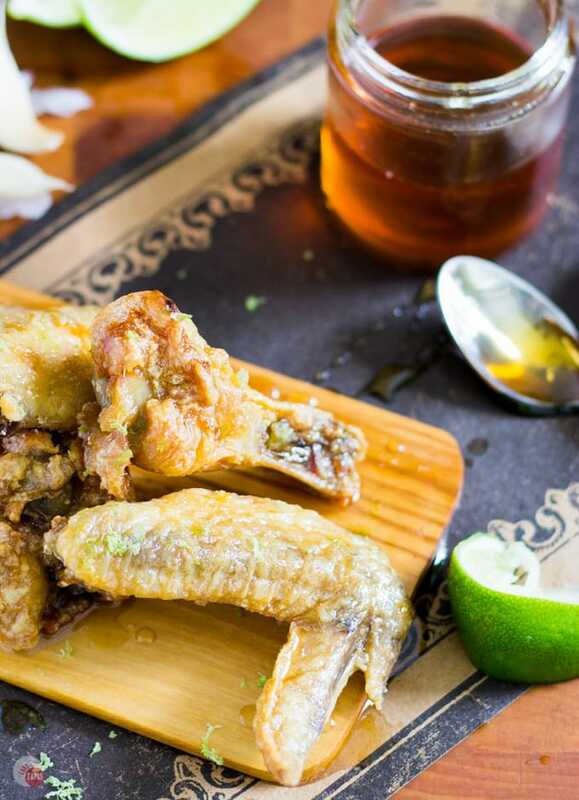 Garlic Lime Chicken wings are the best with lots of garlic, a dash of lime and dripping with the sticky sweetness of honey! Grab some wings and a ton of napkins unless you want to lick your fingers clean. It’s no secret that I love the smell of garlic, onions, and olive oil simmering in a pan. If I could bottle the scent, I would put it on my wrists every day! I’m not sure if I would attract men or flies but I would be happy with the smell. I might forget to put on deodorant, but I would wear that! 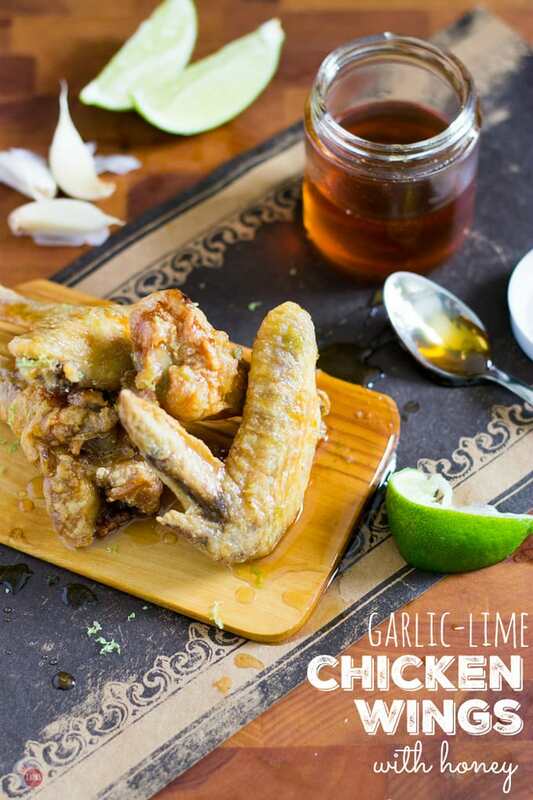 These garlic lime chicken wings are born from that smell. Lots of garlic keeps the mosquitos away, at least that is what I keep telling myself as I shovel it in my mouth. I even smell my fingers throughout the day after I chop a bunch of garlic just to bring the memories back. Memories from that morning, chopping the garlic. Yes, I am weird. Garlic, check. Lime… A must for all my cocktails lately. Why not mix it with my garlicky wings to make my drinks mesh with my food. Not that I can’t make my cocktails fit with ANYTHING I am eating, but now I can call it a theme. Food and drinks are always a good theme in my book. Now I need something to round it out. Garlic lime can be a pretty intense flavor combination. Some say garlic is spicy, peppery, strong, but I say it is yummy and some bright citrus makes it even better. Maybe some honey will give them something to swim in together. Like a tasty hot tub of flavors. Hot tubs, food, and cocktails?? I’m in! The honey in this sauce brings the garlic lime flavors to the forefront and gives them a vehicle to shine. That sticky sweetness also gives you something to lick off your fingers and not miss any of those nuggets of lime zest and bits of garlic. The glaze can be used as a dipping sauce, a tossing sauce, probably a facial mask that removes blackheads (I saw it on Pinterest once), or a marinade for some chicken breasts that need some jazzing up! Make it a few days ahead of time and store in the fridge until you are ready to drink it. I mean, toss your wings in it. 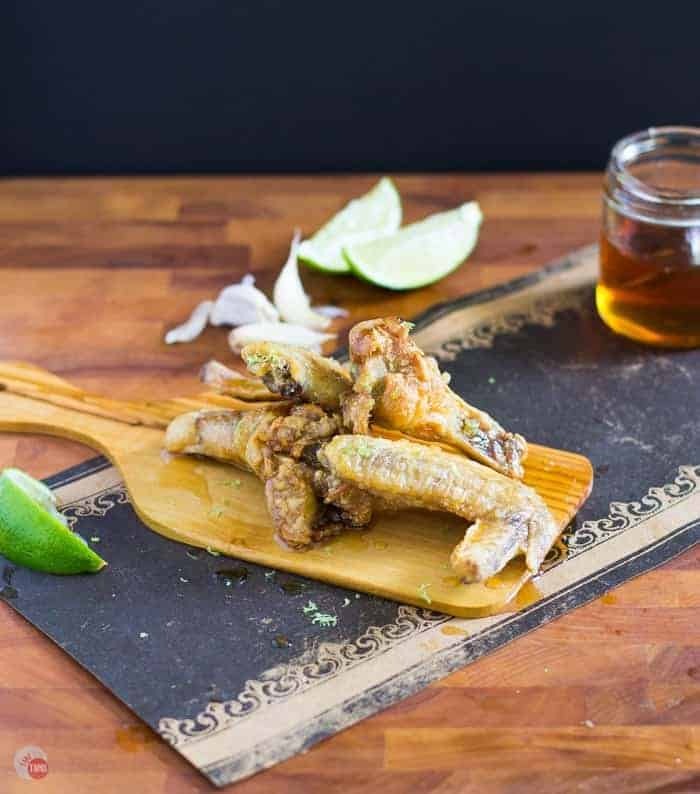 These Garlic Lime Chicken Wings are a true party staple that will please everyone! If you don’t eat them all and actually share them. Or you can share my Jerk Spiced Chicken Wings or my Peach Bourbon Chicken Wings. Either way, you will make a ton of friends! 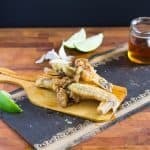 Garlic Lime Chicken wings are the best with lots of garlic, a dash of lime and dripping with the sticky sweetness of honey! Trim your chicken wings, and pat them dry (or leave them uncovered overnight in the fridge). Place in a zip-top bag with baking powder. Shake to coat the wings. Spread on a baking sheet with a cooling rack to keep them above the pan so the fat can drip off. Bake at 250F for 30 minutes in the lower third of your oven. Raise temperature to 425 and bake for another 40-50 minutes or until they are cooked like you like them! In a medium saucepan, add the honey, soy sauce, lime juice, vinegar, and garlic. Cook over medium heat until all the ingredients are combined and boil for 1 minute. Remove from heat let cool for a minute before you toss your wings in it! 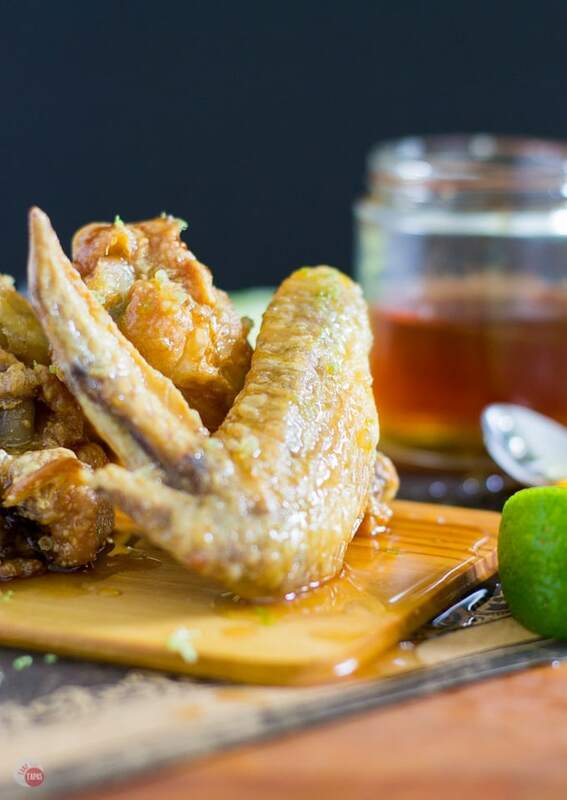 Once the chicken wings are tossed and glazed, sprinkle with lime zest. This technique for baking these crispy wings are from my friend and blog idol, Nagi at Recipe Tin Eats! Check out all her other wing recipes. My mouth is watering. These sound amazing. I would totally drink it!! Brilliant. 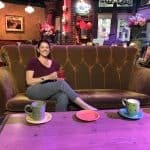 You are too funny in this post (in a good way) – I was imagining installing a hot tub in my yard for a few minutes just so I could take part in the cocktail and wing party you have going on. Garlic, lime & honey is a winner on it’s own, but then you’ve added a touch of apple cyder vinegar for that extra twang. Genius. Now these look delish. Like, I’m kinda drooling all over the place delish. The garlic and lime contrast perfectly with the touch of honey. Can’t wait for all this finger-lickin’ goodness!